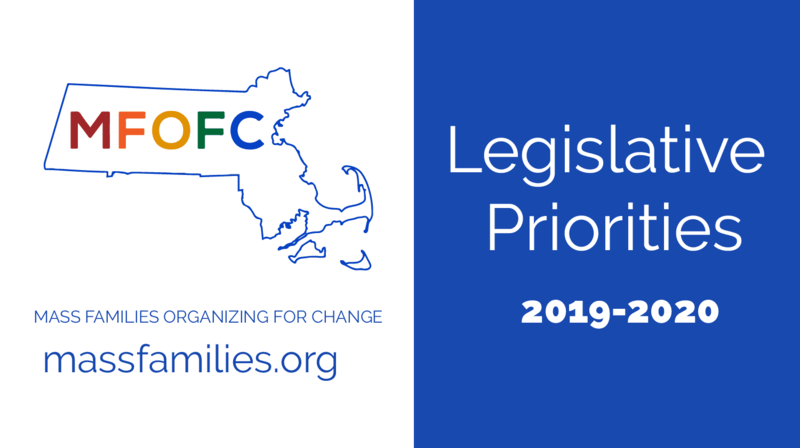 Each year, Mass Families establishes legislative priorities for the year. 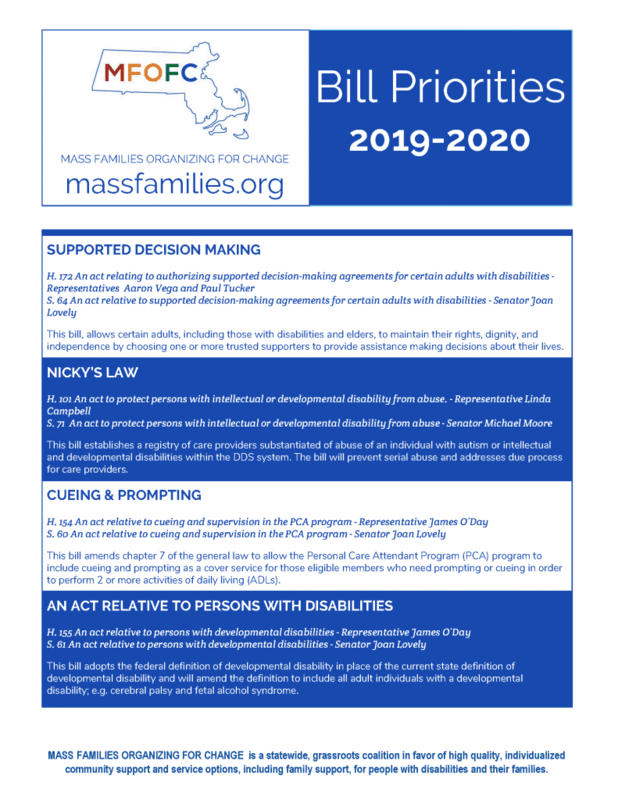 These priorities are in response to current legislation that affect individuals with developmental disabilities in Massachusetts and their families. Download the PDF or scroll down to learn more. This bill, allows certain adults, including those with disabilities and elders, to maintain their rights, dignity, and independence by choosing one or more trusted supporters to provide assistance making decisions about their lives. This bill establishes a registry of care providers substantiated of abuse of an individual with autism or intellectual and developmental disabilities within the DDS system. The bill will prevent serial abuse and addresses due process for care providers. This bill amends chapter 7 of the general law to allow the Personal Care Attendant Program (PCA) program to include cueing and prompting as a cover service for those eligible members who need prompting or cueing in order to perform 2 or more activities of daily living (ADLs). This bill adopts the federal definition of developmental disability in place of the current state definition of developmental disability and will amend the definition to include all adult individuals with a developmental disability; e.g. cerebral palsy and fetal alcohol syndrome. This bill allows for accurate lists of providers to increase access to available mental health practitioners. This bill allows for an ombudsman to receive file complaints, get direction or receive guidance in response to questions from consumers and families. This bill allows for a meaningful review of nursing hours, rates, utilization, and nurses registered with Masshealth/Medicaid every two years to increase access to home care nurses and maintain an adequate workforce to care for medically fragile children in their family home. Your voice is needed for positive change in Massachusetts! Contact your legislators and make your voice heard! for supporting individuals with developmental disabilities and their families! Be sure and reach out to the filers of the bills and show your gratitude as well! Stay tuned right here to mfofc.org to get more details about these priorities. Be sure to sign up for our mailing list and follow us on Facebook for key action alerts! Previous StoryApplication deadline extended for the MFOFC West Family Leadership Series kicking off in January!